The Cardologists have a tradition every fall called Stamp Camp. 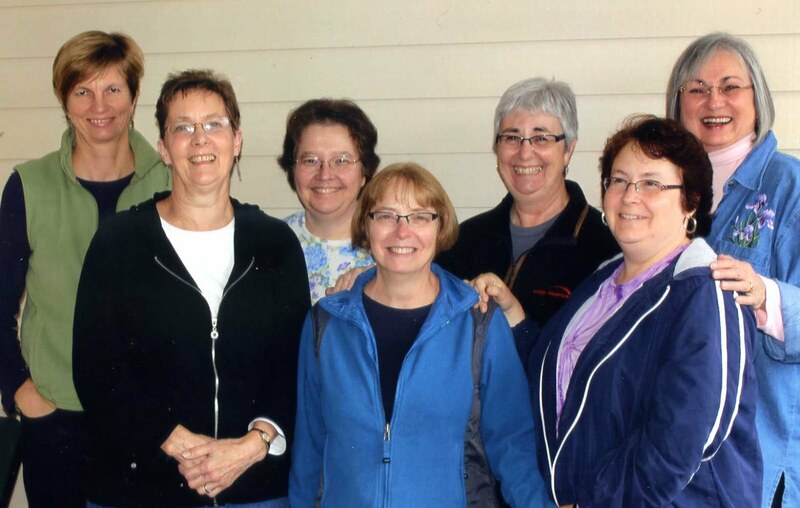 We have been meeting for the last twelve years at a resort for a week of stamping. We pack our cars to the hilt with supplies and food and meet at checkin. After the the tenth trip from the cars to the unit, Melba suggested we take up knitting since yarn is lighter! This year we were greeted by snowfall. In the evening it briefly whited out the view of the mountain. We told Molly it was in her honor since she would not have a white Christmas in her new home down South. Inside we had the warmth of laughter. 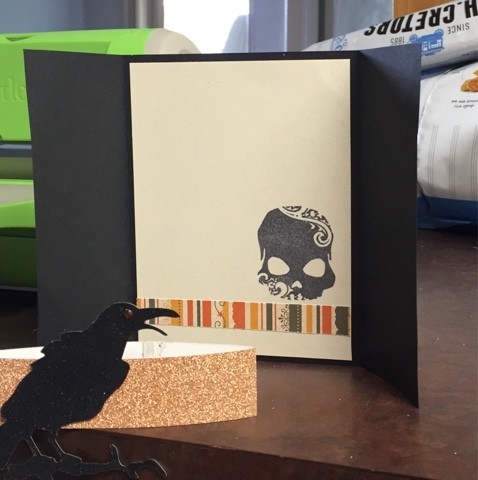 All of our cards are collaborations...this is a gatefold Halloween card that we made today with a belly band holding our black glittery Raven. 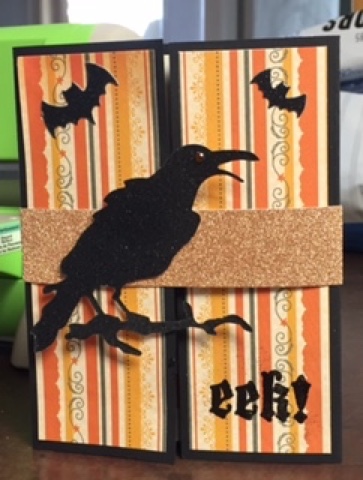 The Raven die is Tim Holtz / Sizzix. The eek and skull are from the Frightful Collection clear stamps by Little Yellow Bicycle. The bat dies are by Impression Obsession. Now we are working on a card that takes some coloring. 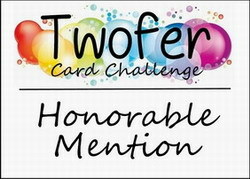 How are you doing on the thirty day color challenge? I hope you leave a comment so I can visit your site and see what you are doing. Ha, I see that after I left you found time to write a post! That was a nice surprise! Hope you will show more... Miss you already!